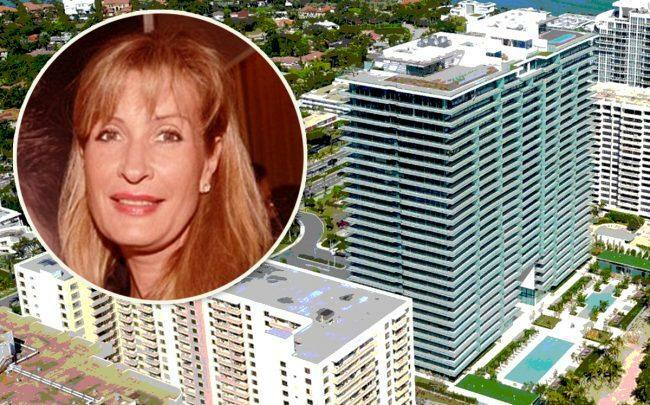 UPDATED, March 19, 1:50 p.m.: A company controlled by Tatiana Panchenkova, the ex-wife of Russian oligarch and real estate tycoon Shalva Chigirinsky, sold a condo at Oceana Bal Harbour for $5.4 million. The sale represents a loss from her purchase three years ago. Panchenkova sold the 3,450-square-foot unit 1902S at 10201 Collins Ave for $1,565 per square foot, records show. The buyer is tied to Gary Kreinik, of the New York law firm Kreinik Associates. The condo has three bedrooms and four-and-a-half bathrooms. Panchenkova is paid $6.6 million for the unit in January 2016, records show. Panchenkova appeared in New York tabloids for her nasty divorce from Chigirinsky, who once had a reported net worth of $1.6 billion. The couple, who lived in Connecticut, split in 2009 amid allegations by Panchenkova that Chigirinsky abused her. Kreinik is likely not the true buyer of the property. Research from The Real Deal shows his law firm handled title insurance for two of the top 1,000 most expensive deed transactions https://therealdeal.com/new-research/topics/company/kreinik-associates/ in New York City between December 2014 and June 2017. Cyril Matz of Douglas Elliman represented Panchenkova in the deal. The buyer was represented by Nicole Davis of AF Realty. Oceana Bal Harbour, which had an estimated $1.3 billion sellout, was completed in late 2016. The oceanfront condo project was designed by Arquitectonica, and features large sculptures by Jeff Koons, which Argentine developer Eduardo Costantini purchased for $14 million. Italian architect Piero Lissoni designed the interiors. The 5.5-acre site was formerly known as the Bal Harbour Beach Club before Costantini’s Consultatio USA purchased it in 2012 for $220 million. A year later, the developer secured a $332 million construction loan for the project from a group of lenders led by HSBC. A penthouse at Oceana Bal Harbour was recently listed for sale for $18.95 million.